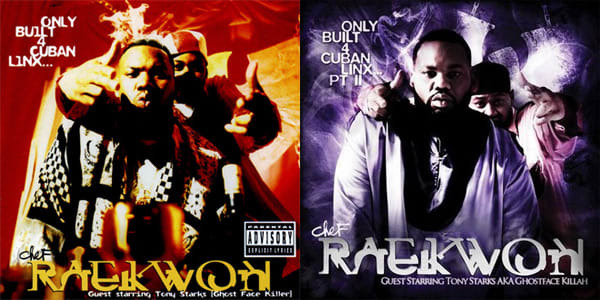 Complex Says: The artwork to Raekwon's 1995 masterpiece, Only Built 4 Cuban Linx, may be a little pause-worthy (it's just not a good look to have a dude stand directly behind you), but that doesn't make it any less epic. The original Cuban Linx album was casually referred to as "the purple tape" because the album's cassette version was uniquely purple. By the time Rae released the sequel, no one bought tapes anymore (or CDs for that matter) so in order to play homage Rae draped out the whole cover in a purple hue.